Valerie advises businesses in manufacturing, financial services and other sectors on a variety of corporate matters. She regularly works with all types of businesses in connection with corporate governance, internal reorganizations, and transformative transactions, including acquisitions, mergers, and divestitures. She advises clients on all aspects of their procurement and supply operations, and negotiates a wide variety of commercial agreements, including distribution, purchase, supply, service and license agreements. Further, she regularly works to help clients avoid litigation in key risk areas through negotiated resolutions of commercial disputes, product warranty and other product liability claims, as well as compliance with federal and state laws related to termination of distribution relationships. 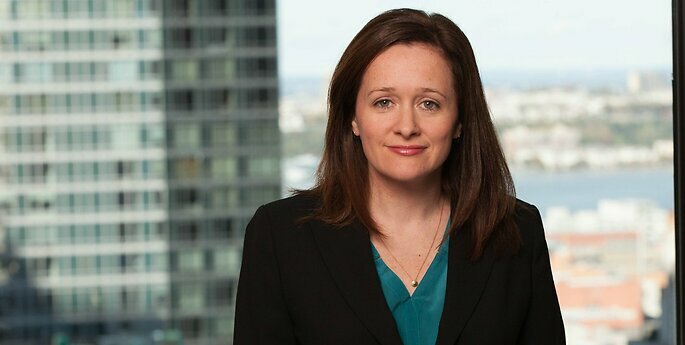 Valerie also counsels clients on a variety of antitrust and trade regulation matters, including competitor collaborations, distribution arrangements, MAP policies, mergers and acquisitions and associated Hart-Scott-Rodino filings, and corporate compliance. Counsel to U.S. industrials business in connection with its sale to EU investors. Represented a U.S. publicly-traded financial institution in the acquisition of a U.S. equipment lending company. Represented founders of a U.S. consumer products business in the sale of the company to sponsor buyer. Represented partner in a U.S. consumer products business in connection with the exit of the equal partner. Represented sponsor-owned European portfolio company in the acquisition of a U.S. manufacturing corporation. U.S. counsel to sponsor-owned EU industrials business in connection with its sale to a non-U.S. publicly-traded buyer. U.S. counsel to sponsor-owned EU industrials business in connection with its sale to a U.S. publicly-traded buyer.